I wanted to share more of my Winter decor with you. I kept to a neutral, Wintry palette. 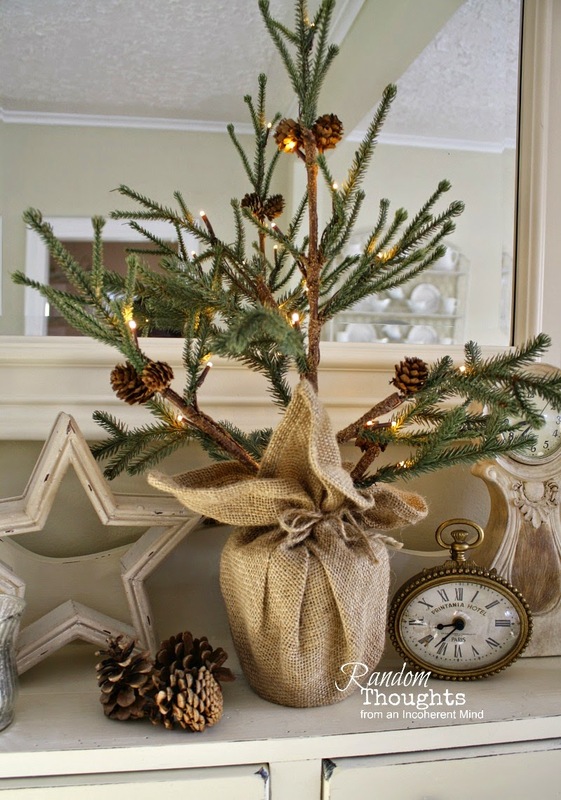 I bought the burlap wrapped tree in Kohl's after Christmas. and then afterwards, for the remainder of the Winter. I'm sure you've heard me say often how much I love stars. Anyway, here is a close up of the star garland I used around the mirror. couldn't wait to put it up once my Christmas decorations came down. Oh, I just love it! And that's my Winter dining room hutch. I really do appreciate it. Oh I love that sweet tree! Gina, I LOVE your hutch all perfectly dressed up for winter. Honestly I think we have very similar tastes. One day soon I sure hope to get to visit one another's home, I know we'd enjoy the time together and really sharing our decor thoughts. Gina, your hutch looks wonderful!! I would've bought that burlap, light up tree from Kohls, if I would've seen it! It's perfect for January, especially with your stars. I love this, Gina...it's a January/winter look I would love to achieve. I think the stars are perfect and that tree...love! 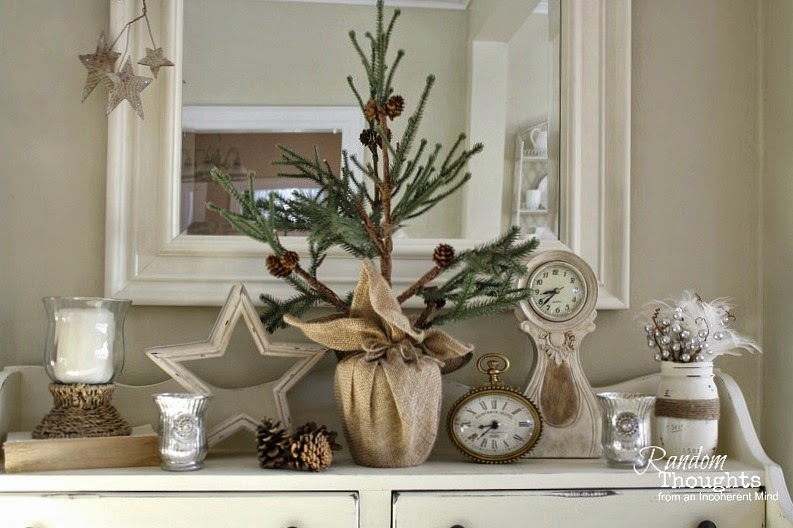 Your décor looks perfect for winter! I always love seeing greenery left out after Christmas and your tree is wonderful! So natural and wintry looking! 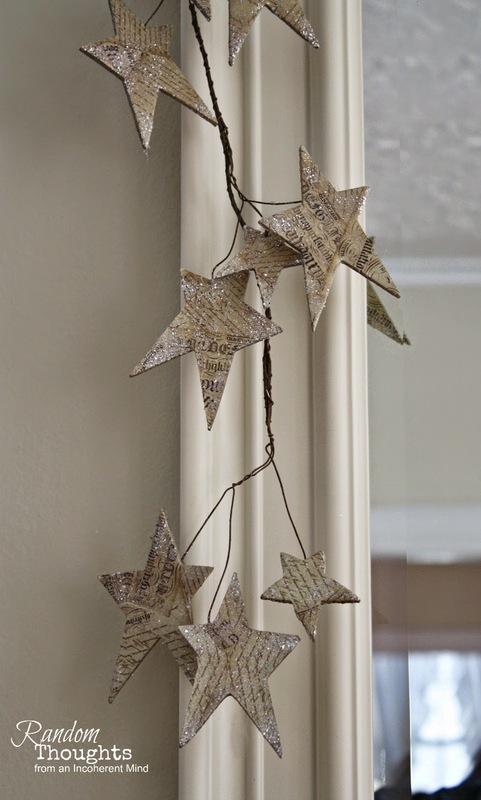 Love the star garland, and the star that looks wooden is really darling. Nice that you found a tree that works so well for winter decorating too. It's nice to have those twinkly lights just a little longer. Hi Gina! I love it! 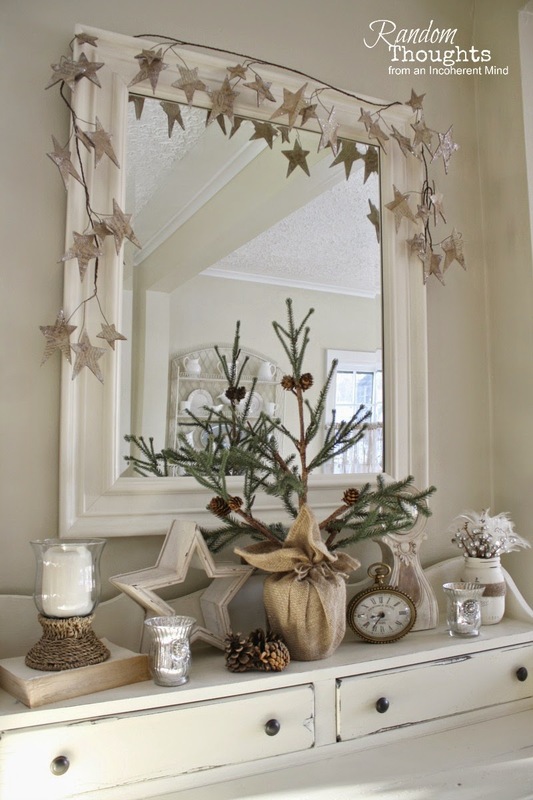 That little tree is so sweet and love your star garland too! You really have a knack of making pretty! Thank you so much for popping in to see me and your kind words. beautiful. You make all seasons shine! I am pushing spring ~ hurry hurry hurry. Simply beautiful Gina! I love the soft color scheme. Very winter!